LSM, a digital marketing agency for franchises, has been awarded the SEO contract for European Wax Center. LSM also won the ‘Best Use of Co-Op Advertising’ award at the 2019 Ad-To-Action Awards. LSM is a digital marketing agency for franchises and multi-location businesses. Increase their organic visibility online. Optimize their listings on search engines and directory websites. Track and evaluate the results with transparent analytics. “LSM is extremely excited to partner with European Wax Center and help their franchisees drive sales growth,” said Matt Job, Chief Growth Officer of LSM. “European Wax Center strives to put our franchisees in the best possible position to succeed. Given LSM’s track record, we’re confident in their ability to increase the amount of business generated organically from our franchisees’ microsites,” said Sherry Baker, President - Marketing and Product Development for European Wax Center. LSM was named the winner of the ‘Best Use of Co-Op Advertising’ award at the 2019 Ad-To-Action Awards. Hosted by the Local Search Association, the Ad-To-Action Awards honor businesses that provide the best location-based marketing services that drive consumer actions. LSM submitted their Facebook advertising work with the Chicago Co-Op of Pure Barre, a fitness franchise with 500+ studios, which generated 238 new members for the Co-Op over a 13 day period in October 2018. “LSM showed us that Facebook’s lead generation campaigns work, even in a historically down time for fitness studios,” said Cait Rechel, a Multi-Unit Owner of Pure Barre. 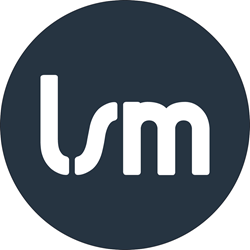 Founded in 2006, LSM drives revenue growth for multi-location businesses through user-friendly websites, scalable advertising, review management, search engine optimization and content marketing campaigns. Our easy-to-use client reporting dashboard, LSM Insight, provides transparent marketing analytics and can integrate with CRM systems, making it easy for clients to understand the origin, quality, and lifetime value of leads generated from our work. Contact LSM today and discover what we can achieve together!